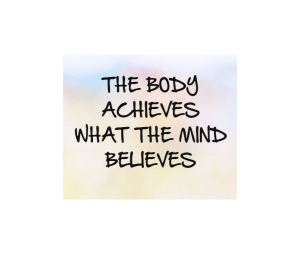 Can your mindset turn around your mental and physical health setbacks? Jim Curtis shares his wiZdoms from his book, The Stimulati Experience! Jim Curtis joins GutwiZdom this week for a special episode focused on overcoming setbacks, both physically and mentally, through stimulating your mind. Jim is a public speaker, business coach, health publishing expert, and author of The Stimulati Experience. The “Stimulati” (Latin for stimulate) that Jim refers to in his book are the people in your life that inspire, motivate, and fire you up. These are the people that you need in your circle to start the healing process. For more wiZdom from Jim, check out his website, and listen to our episode! Stop living in survival mode. If you’re saying you’re fine when you’re not, you’re living in survival mode. It’s okay to be vulnerable! Break through inadequacy. We have to surrender to the fact that we’re feeling inadequate. We all have a tendency to not believe that were worth good things or that we deserve the bad things that happen to us, but we need to separate these thoughts from the truth. Love yourself! Look at your behaviors. Are you taking care of yourself? Are you in a toxic relationship? We can’t heal if we are continuing to self-harm. Practice positive self-talk. Build a new track in your brain by starting to say positive things to yourself instead of negative. You would be surprised by how positive affirmations can shape your day. Do more things that make you forget to check your phone. When we’re in a flow with no distractions, that leads us to our passions and purpose. Go with your gut. Your gut will tell you when you found your purpose. Find your Stimulati! We need these people in our lives to fire us up! They bring out our passions and motivate us to be the best we can be. LISTENERS: How are you going to help people in need this holiday season? Share your experiences and wizdoms with us! Either leave us a voicemail at 1-646-653-9278 or send us an email. We may talk about it - or we may even talk with YOU - on the air!